If you’re a long-time fan of this series (wait…of course you are), then you know that every January we recognize an SAP employee as Member of the Month. It’s the only time of year that one of my colleagues receives the honor. There’s never a shortage of candidates — and picking someone is never easy…for lots of reasons. For one thing, there’s the harrowing task of narrowing down the list of qualified internal candidates to a single finalist (when all of them deserve the recognition). For another, after I publish the January interview, I always risk the awkward moment of walking past someone in the office who was expecting Member of the Month. In the interest of balance though, if I’m embracing villainy, we require an equal dose of heroism here. Which is why for January 2019, our Member of the Month is an SAP colleague who also happens to be a Community Hero. Please join me in congratulating my fellow SAP’er and all-around good guy, Sriprasad Shivaram Bhat. 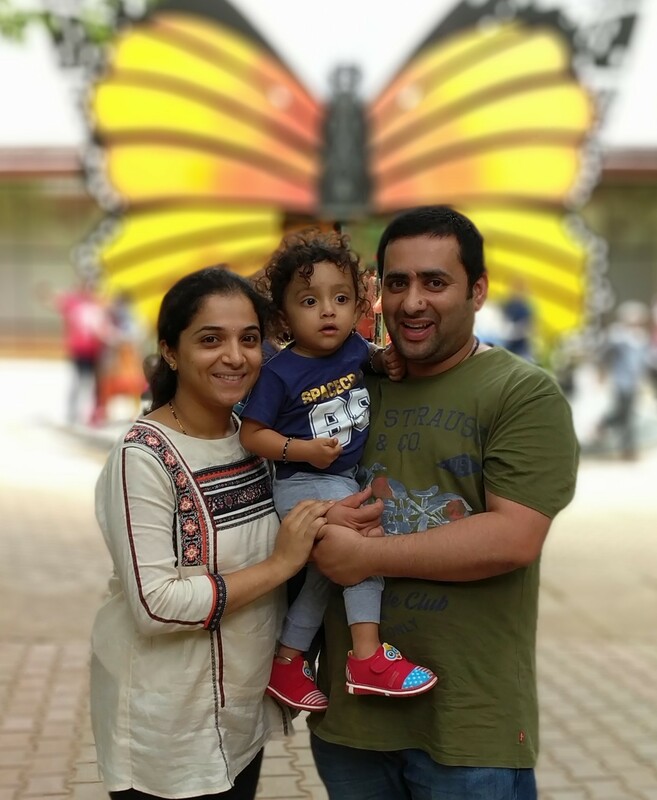 Throughout the course of his SAP Community membership, Sriprasad has answered hundreds of questions — as both SAP employee employee and pre-SAP pre-SAP days. Now I’m going to ask him to answer some of mine. On the bright side, there won’t be nearly as many, nor will they be nearly as hard. I mean…I ain’t that bad of a guy, really. I went with the whole villain angle because I needed an excuse for the Community Hero segue, and I was struggling with the intro because I’m a little off my game because I’m still recovering from the holidays. Welcome to our Hall of Fame, Sriprasad! How’s your New Year so far? Frankly speaking, I was surprised by your email and felt like I received a New Year wish in a very special manner! Looking at your linked accounts, I’m assuming you were part of SAP Community prior to coming to SAP. Could you tell me when you joined the community and why? I’m guessing it was back in the SCN days? I joined SAP Community in 2010, but my active participation started in 2015 when I got an assignment which required an SAP Cloud Platform Integration skill set. Somehow there was not much help from the community during that time, so I started sharing whatever I learnt. And when did you become an SAP employee? It’s always a privilege to work for SAP. I got such an opportunity in August 2017 as an Integration Consultant, mostly working on SAP PI/PO and SAP CPI. What were you doing before SAP? Could you tell me a bit about your career path? I had completed my post-graduation (MCA) from Manipal Institute of Technology and started my career with Cognizant Technology Solutions as an SAP PI consultant where I started loving my integration job. Later I got an opportunity to attend SAP TechEd and realized I am not up-skilling myself as per market trends, which made me look into new opportunities. In 2015, I joined Accenture as an SAP PI/PO consultant and got multiple very good, very challenging assignments involving SuccessFactors implementation with SAP CPI as IPaaS before joining SAP SDC in 2017. So now I have some sense of how you got involved in SAP Cloud Platform — and your participation in SAP Community seems to favor your expertise in that area. But a lot of your knowledge came from hands-on experience, which you then brought to the community? When I was assigned to the SAP CPI project, day to day I used to encounter a lot of issues and I couldn’t find much help available in SCN — there were hardly few things to answer and most of the questions were unanswered without conclusion. I used to spend a lot of time understanding each and every step about its behavior. I initially started contributing to the Accenture internal knowledge base based on my SAP CPI experience, which made me get into the global space of knowledge sharing and gaining in SCN — although I must accept the fact that knowledge gaining is on the higher side. The sharing has been pretty high though too. I wasn’t exaggerating when I said that you’ve answered hundreds of questions. At what point did you become comfortable sharing your knowledge in the community and what advice would you give to members who might be hesitant to answer questions…because they’re nervous, for example? Frankly speaking, every time I look at our fellow community members’ contributions, I feel I am a newbie in our community. (I feel it’s not required to raise cases to SAP for clarification and help because everything is available in our community.) The way they were answering inspired me because if you want to share something, you should know something, and you must try hard to gain that. For members who are hesitant — spend at least 30 minutes a day apart from your routine work to start asking or answering questions without hesitation and don’t treat any question as silly because it might be very tough for whoever’s asking. Always try out things by yourself before answering and try to give as many details as possible — with screenshots and related material links. Start contributing in our community. It truly makes you a hero one day! You’re certainly proof of that, Sriprasad. But to continue with our Q&A conversation… You’re an SAP employee, so I know that responding to community questions could be considered part of the job. But still…your participation is impressive. How do you work SAP Community involvement into your day-to-day schedule? I am part of consulting and as routine, I work for multiple customers located in different geographical locations. SAP Community is a place from where I get to learn a lot so I don’t want to lose it. I have some time dedicated for community on a daily basis — if not during working hours, I answer while travelling or while browsing through mobile. In addition to answering questions, you’ve done some blogging. Your blogging output isn’t on the same scale as your Q&A activity — I can’t imagine how it could be! — but can we expect more blog posts from you in future? And when you do write a blog post, what inspires or motivates you to start typing? I love to take more on the Q&A section of community and try to give more details there only since many questions require POC before answering. If I find multiple repeated asks from the community on some topic, then I write a blog which should answer all their queries without fail. I don’t like to write blogs about things already resolved by Q&A. A blog should convey something very new. I have plans to write more blogs, which are there on my to-do list and I’ll slowly get into those shortly. Since we’re both SAP employees, Sriprasad, I hope you don’t mind me asking a question unrelated to the job. When you aren’t working, how do you like to spend your free time? Any hobbies or other sorts of activities that you enjoy? I am Carnatic Classical music lover and most of time I’ll be listening to that. After office hours, it’s completely family time and I would be spending all my time with 2-year-old kid. No more questions from me, Sriprasad, but a few closing remarks. First, thanks for everything you do for SAP Community. The fact that you are a Community Hero and a Member of the Month is testament to your contributions. Second, have a wonderful New Year! With you as Member of the Month for January, our series is off to a great start for 2019, and I look forward to your ongoing participation in SAP Community! *Sorry, Word spell-check, you can wiggly red underline “shatterer” all you want, but Merriam-Webster is on my side. I enjoyed reading your interview (nice job, Jerry). I want to give you extra props for being so willing to share your hard-earned knowledge in the Community. Many consultants hoard the information they’ve acquired, but you are willing to pass on the benefits of that information to the Community. Your Member of the Month status is well earned! Thank you for your contributions, and I hope other consultants will see that a lot can be gained from sharing here. Congratulations Sriprasad on this well deserved recognition. Keep up the good work! Congratulations Sri.. on this well deserved recognition. Keep up the good work. Congratulations Sri…..You totally deserve it !!! Congratulations and thank you for your contributions! Congratulations Sriprasad on this achievement and keep up the Good work! Sharing knowledge in an area the community is not big is always a good starting point. Keep rockin and welcome to the club. Congratulations Sriprasad well deserved – keep up your great work. Sharing in the community not only makes you a hero it makes you feel good – the fact that you can assist others with knowledge! Awesome! This is a great initiative Jerry Janda for an SAP employee to get this. Well done! I almost missed the blog as I’m just back from my holidays! Very well deserved. Keep up the good work! Always enjoyed reading your blogs. Your contributions in HCI/CPI space is tremendous. Almost all your replies to the threads contain screen shots with resutls, which makes simple to understand. Congrats my friend. This is good achievement. Enjoy .